We had some visitors today from Norway. We wandered through the the studio and looked at the kiln and pots. As they were packing up their treasures in the van, what really got them excited were the trees. One of the potters collected a bag of pods from the bald cypress tree. Others collected the large, wrinkly green osage oranges. I love it when a visitor or an experience gets my vision to refocus--to look afresh at my common surroundings as if I were traveling in a strange land. 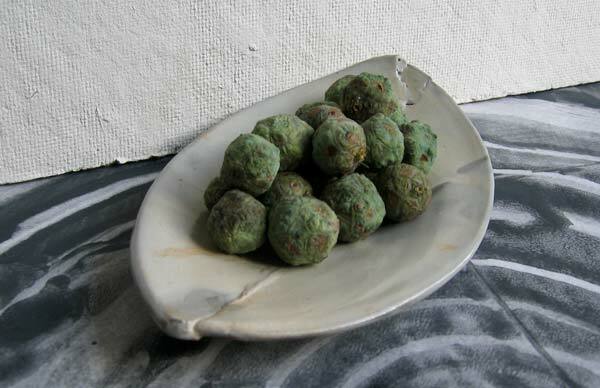 I collected a handful of cypress pods and photographed them on a leaf plate. 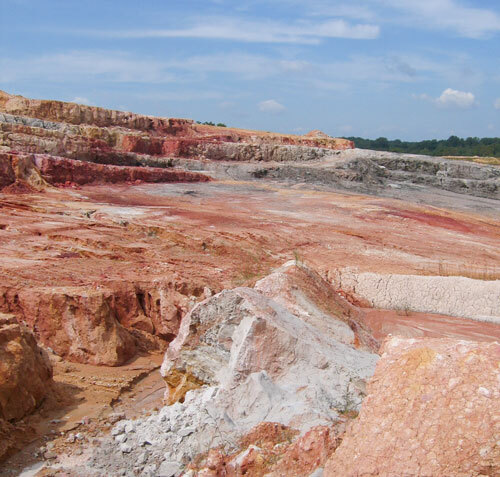 I have had many ideas for entries in the blog but at the end of every day my energy has been completely used up, first by going to Stancills clay mine to get some new materials and inspiration. We couldn't drive our truck up to some of the red clays I wanted so we collected several buckets from the more accessible "A" pile. 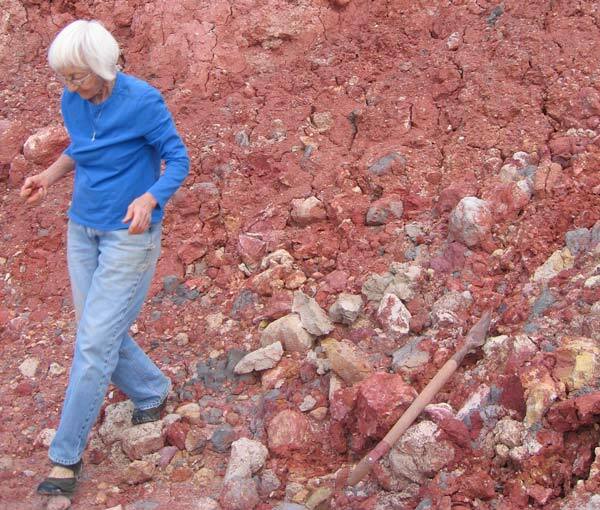 Here's Mary Wolff prospecting on the "A" pile. 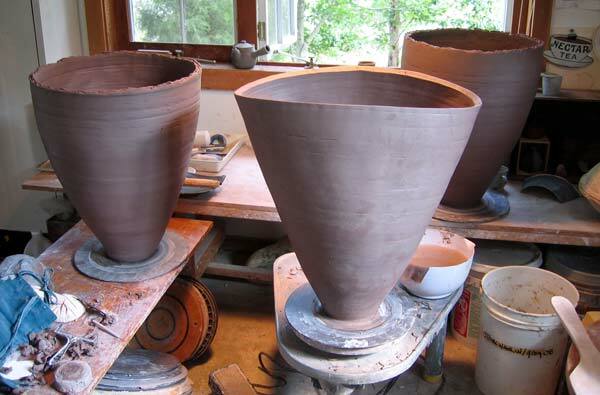 I mixed a couple of different batches of clay and began work on some new large garden pots. The next endeavor was to begin new boulders for the wood kiln. 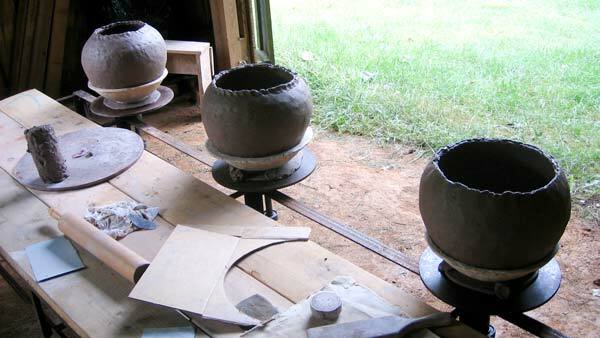 It is wonderful weather, just verging on Fall, to be working outside in the wood kiln shed. 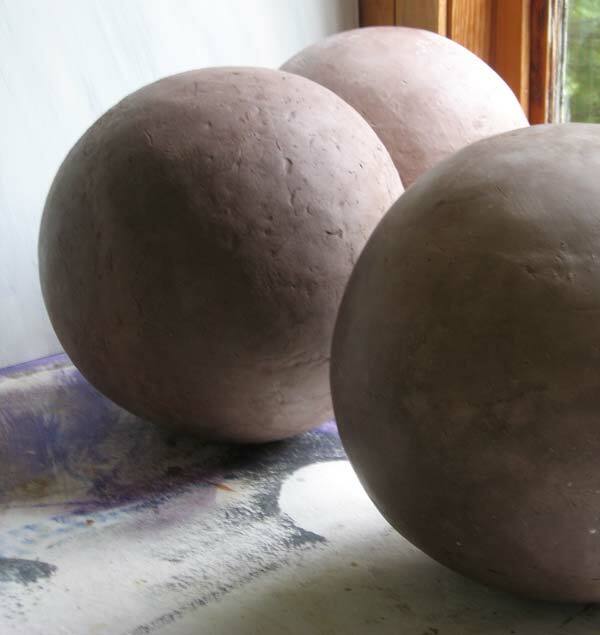 The finished boulders drying in the studio.